Jose Maria Olazabal is one of Spain’s greatest golfing exports. He has won six PGA tour events and 23 on the European Tour; he is a two-time major winner and has featured in seven Ryder Cups as a player winning four. In 2012 he captained the European team to an historic comeback win in Chicago for their eighth victory in ten editions. This week Olazabel won the Prince of Asturias Award for sport and euronews were present to talk to the Ryder Cup hero and golfing legend. euronews: How do you feel about winning the the Prince of Asturias award for sport, whose recipients include a multitude of sporting greats but only two golfers: Seve Ballesteros and now you? Olazabal: Well I am proud and delighted, but it’s also a responsibility in the sense as I’m following in the footsteps of Seve. It’s is very special. It is unique in a way that not only is it based on your sporting achievements but there are other values ​​that count too, they take into account your personal values. euronews: We can say that the main reason you have won the Prince of Asturias Award is down to the stunning triumph of the European team in the 2012 Ryder Cup. How did you achieve that historic victory on September 30? Olazabal: Well, it was all about the team really. Dealing with the players trying to get the best out of each player, believing the battle was never over, trying to convince them we could still turn the tide on that Sunday.. to convince the players that they had to play aggressively, to hunt for victory without fear.. all those things eventually came together for us to win the tournament. euronews: How much of an impact did the late Seve Ballesteros have on this 2012 Ryder Cup team? Olazabal: A part of the victory was thanks to him, no doubt. When I was preparing the team the image and the memory of Seve was ever present. On Sunday, for example, the players were dressed in marine blue and white, Seve’s favourite colours to play in on Sundays and on top of that we had Seve’s image stitched into our shirts and jumpers, as well as the year he was born and the year in which he left us. Some players like Justin Rose, for example, told me that whilst playing the final day and when things were tight the players would look at their sleeves and would see the image of Severiano.. and that motivated them and gave them strength to keep on fighting. euronews: You have a very special relationship with this tournament, will you be working with captain Paul McGinley in the next edition of the Ryder Cup? Olazabal: The Ryder Cup as you have already said is a tournament very close at my heart, if Paul McGinley gives me the chance to be vice-captain or somehow help the team in any way, for sure I will sit down with him and talk. I’m not saying it will be a yes but I would give it some serious thought. euronews: There seems to be a trend of players choosing the American PGA Tour over the European Tour. Why is this and how can we turn this situation around? Olazabal: I think this is because of the economic situation we are living through in Europe at the moment, in all areas. It’s harder to get sponsors and in that sense the United States is in better shape, but I am convinced that all those players that have joined the ranks of the American PGA will come back to Europe and compete. euronews: What do you think of the controversy surrounding the banning of anchor putting? 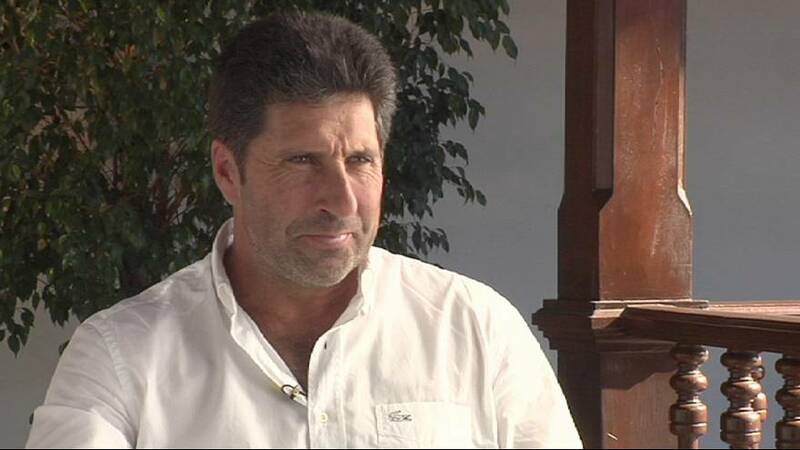 Olazabal: I think there are certain things you keep the same. The sport of golf has its characteristics. When golf was introduced at the beginning the only part of the body allowed to touch the club was your two hands. For many years there has been a certain amount of tolerance. But I now see harm in returning to the traditional values of the sport. I see no logical reason for a teenager, 13, 14 or 15-years-old to start using a belly putter for example. euronews: Who is the best golfer of all time? Olazabal: Well I think you have to take into account different eras. I believe that the era of Arnold Palmer and Jack Nicklaus was a great one, Tom Watson is also a contender there. While in the modern era Tiger Woods is by far the number one and that remains the same today. Times are different, the courses are different , the materials are different and it would be unfair to choose a particular player. euronews: Jack Nicklaus has won the most major titles but do you think Tiger Woods can do better? Olazabal: When people said that Tiger would never be the same (after his fall from grace) I’ve always stayed true to what my gut tells me. When I’ve played with him, he’s physically in great shape like an athlete, but his greatest strength is in his head, his mind. And that has not changed. And that’s why I’ve always said that Tiger will win more “majors”. I do not know if he will get the four or five he needs to beat Nicklaus but I am convinced that it will be very close. euronews: How long do you think we will have to wait to see another Spanish golfing great? Olazabal: It’s not easy. It is true that we have experienced very good years, golden years … I think Sergio García has enough potential and enough features to become a great player and I am convinced that sooner or later it will happen. He still has many years ahead of him and he’s our best asset. euronews: When the results aren’t going your way and you start struggling to retain your Tour card will you think about giving it all up? Olazabal: Like everything in life things begin and end. And in that sense I am aware that I am closer to the end (of my career) than the beginning. But I’ve been through some hard times in life and that has helped me be strong too. It has helped me put things into perspective and all I can do right now is to work hard to stay on the circuit. That’s my goal now. euronews: What will happen for you after golf, will you become a TV commentator, a pundit, will you design golf courses? Olazabal: There are many things you can do. Obviously the design of golf courses attracts me, but there are other things. There are young kids who want to start playing this sport. I have experience and knowledge that could help them. You never know. Create a school maybe… there are so many possibilities, not only becoming a commentator. I think that you can do many things .